Resolution of family law cases by mediation has become popular because to its benefits like a more comfortable setting than the courtroom and cost-effectiveness. Before a trial is scheduled, even family court judges ask parents to mediate their case. 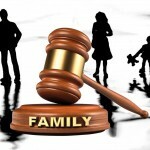 In family law cases like paternity, separation, divorce, child custody etc. mediation can be done between involved parties with the help of an independent mediator who may be court-appointed or retained by the parties. Typically, retired judges or other family law attorneys act as family-law mediators and are specially trained for it. And this meeting is generally done without attorneys. The purpose of mediation is to reach an agreement which is agreeable to the parties involved. It is important that preparations for the meeting are adequate. The client and counsel should clearly state their goals and the aspects that they are ready to agree with, without entirely compromising their position in the case. Cases might not get completely resolved by mediation, but global resolution of issues can be achieved. Mediators have different ways of achieving mediation between parties. They might ask the parties to be present in the same room to discuss and negotiate on the issues directly, or mediators can have each party in different rooms and bounce back-and-forth between the rooms. And, some prefer a combination of both these approaches. Combination approach can help the mediator to get an idea of the parties’ goals and then bring them together to discuss their common grounds. Sometimes, attorneys of the parties can be asked to prepare mediation statements. Mediation offers distinct advantages to both parties. It is cost-effective (as mentioned earlier), and more importantly gives parties a chance to settle on an agreement that is agreeable to everyone involved. It saves the time and money spent on a trial. Mediation is a great way to fix family issues, however the agreement is truly considered an agreement when the court reviews and approves it. But in cases like child custody, if both the parents have reached to an agreement that is best beneficial to the child, the court doesn’t change the agreement.